Even though its one of the coldest days in London town in a very very long time, I am keeping my spirits up by thinking about all the gorgeous spring fashion out there. 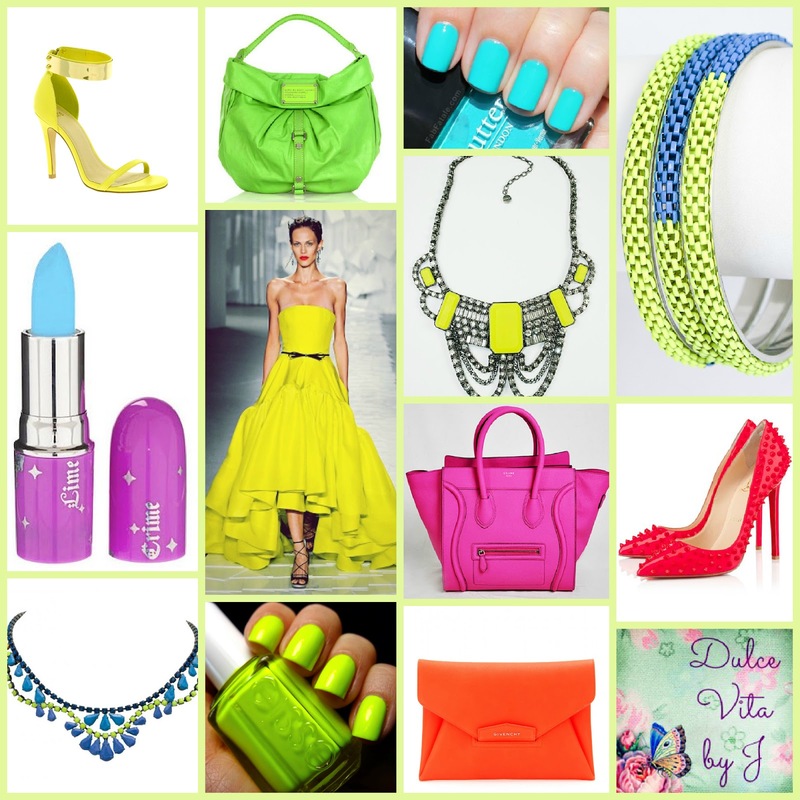 One of the major trends emerging from the recent Fashion Weeks is the bright neon palette. I decided to throw together my first 'Trend Board', hope you guys like it!